I've just received an email from our friends at OPPO Philippines regarding at least one of the products that the Chinese handset maker will be unveiling at Mobile World Congress happening later this month at Barcelona, Spain. The message includes the teaser image above, which shows what appears to be the alphanumeric character '5X'. According to the company, this is about their new technology called the ‘5x’ project that will allow OPPO’s smartphone cameras to capture images with unprecedented clarity. "OPPO’s relentless pursuit of perfection without compromise has given birth to a remarkable technological breakthrough that will change how the world perceives smartphone photography. We chose MWC to unveil the ‘5x’ technology in the belief that we can inspire the industry to aim higher, and continue to create pioneering products that give amazing experiences for consumers," shared OPPO Vice President and Managing Director of International Mobile Business, Sky Li. 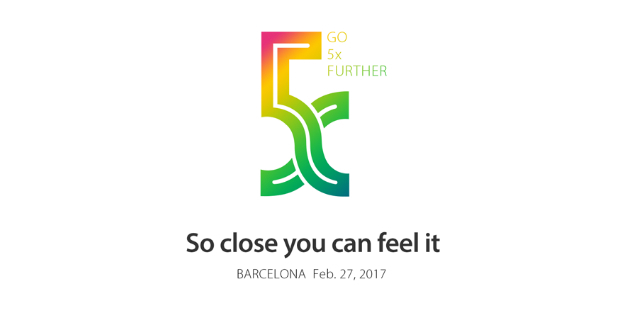 OPPO made no further mention about the specifics of the 5X project so your guess is as good as mine as to what it's actually all about. Personally, I think it's 5X optical zoom capability, which is really exciting. * OPPO’s Ulike 2 model was the first smartphone to offer pre-installed beautication feature, which has become a standard configuration in almost every Android phone today. The beautification feature has since evolved to Beautify 4.0, which instantly evens out the skintone and highlights the good facial features of the user in selfies. * In 2016, OPPO introduced the camera-focused F-series. The second phone in the ‘Selfie Expert’ series, the F1 Plus, was the first OPPO device to sport a 16 megapixel front-facing camera. * In that same year, OPPO Mobile partnered with Sony to co-develop the 1/2.8-inch IMX398 sensor for the OPPO R9s to allow outstanding focusing speed, noise reduction, and low-light performance. All of these stellar research and development efforts from the company - matched with great marketing strategies - have indeed born fruit for OPPO Mobile, especially here in the Philippines. Based on GFK's 2016 research, OPPO has managed to become the second most prolific seller of smartphones in this market less than 6 months since starting formal operations.